Playing with acrylic on a palette knife, and painting what landscape I see in my head. I’m getting adjusted to the feel of it! It’s great fun! I’m going to experiment with oils and palette knife soon and compare the results. 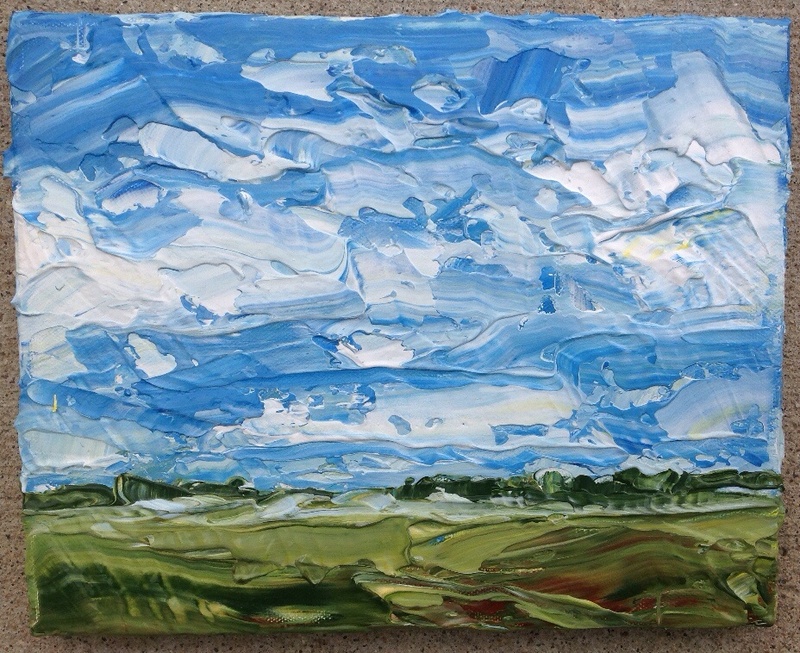 8×10″ canvas, landscape painted around the edges.